Vice Chancellor Farrah-Marie Gomes: Let’s do our part by being supportive of students who may need assistance in coping with this natural disaster. Among our student population this semester are several students from Texas and many other students who have family or friends from the Lone Star state. As Texas residents deal with Hurricane Harvey, I encourage us to do our part by being supportive of students who may need assistance in coping with this natural disaster. For extremely urgent situations or after hour calls, the Crisis Line of Hawai‘i is available at 1-800-753-6879. 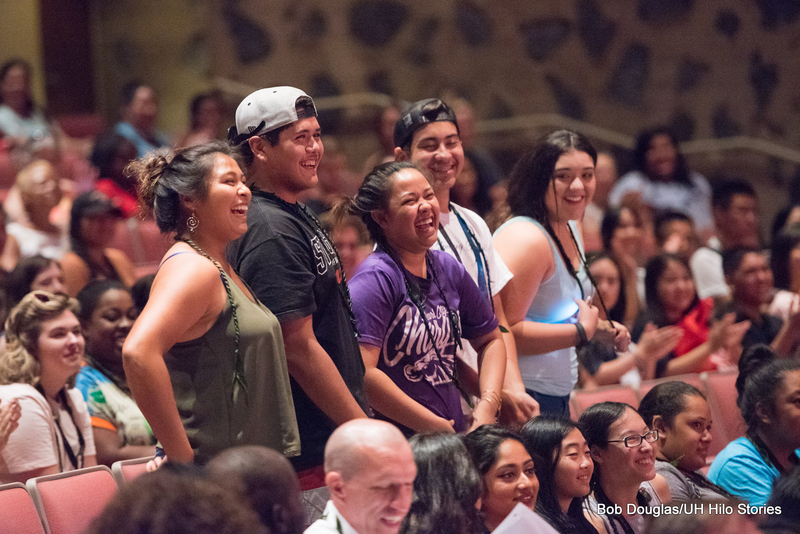 Mahalo for continued care and concern for our students. The University of Hawai‘i at Hilo Office of the Chancellor is pleased to announce that Kalei Rapoza will be the interim vice chancellor for administrative affairs, effective September 1, 2017. Most of you know Kalei as director of human resources. He oversees all human resources for the UH Hilo campus, assists in development of system human resources policies and procedures, develops campus policy and procedures, conducts investigations and provides advice and counsel to executives in all matters related to personnel. He also serves as deputy Title IX coordinator, chair of the Chancellor’s Professional Development Committee, chair of the Campus Crisis Management Team, member of the UH Hilo Diversity Committee, member of the System Conflicts of Interest Committee, and is on the negotiating team for Bargaining Units 7 and 8. Kalei came to UH Hilo in 2013 when he was appointed as associate director of human resources. Before joining UH Hilo, he was employed at the State of Hawai‘i Department of Education as a personnel specialist serving in the areas of labor relations and classified personnel on both O‘ahu and Hawai‘i Islands. Kalei is a graduate of the 2014 President’s Emerging Leaders Program, and currently serves as an employee member on the State of Hawai‘i Deferred Compensation Plan Board of Trustees. He received his undergraduate degree from UH Mānoa, and his juris doctor degree from the William S. Richardson School of Law. During the interim appointment, Annette Sugimoto will serve as acting director of human resources. 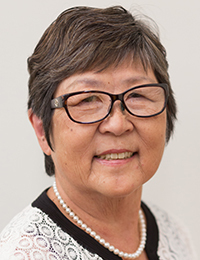 Annette has been an integral member of the UH Hilo human resources team for nearly twenty years. She brings a wealth of knowledge to the position along with a history of exceptional customer service. Join me in welcoming Kalei and Annette into their new roles and functions. 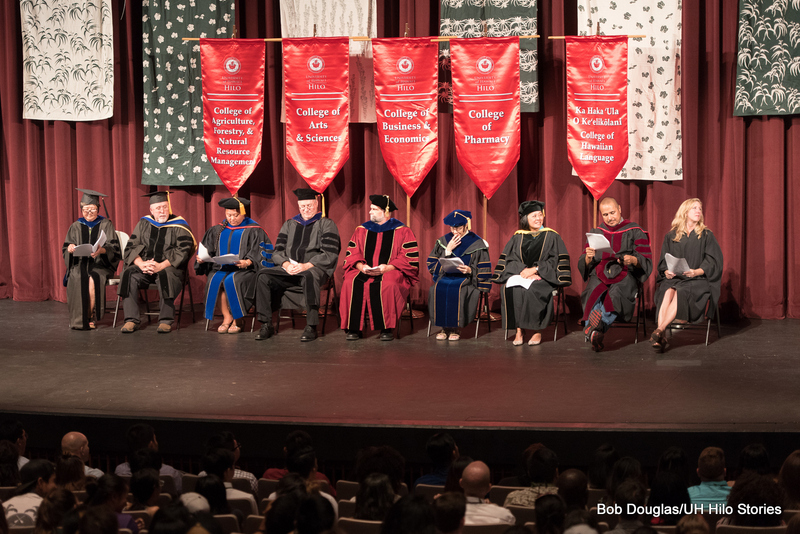 The University of Hawai‘i at Hilo community is invited to meet with UH President David Lassner in an Open Forum with faculty, staff, and students to discuss the upcoming UH Hilo Chancellor search and any other issues of importance with impacted groups within UH Hilo and the Hilo community. Date: Wednesday, Aug. 30, 2017. Time: 11:30 a.m. to 12:15 p.m.
Place: Ho‘oulu Terrace, University Classroom Building, room 127. Hope you can make it and participate in a stimulating conversation with President Lassner. Kalei Rapoza has been serving as director for the Office of Human Resources since 2016 where he has worked collaboratively with leadership across the UH Hilo campus in a range of human resources matters. 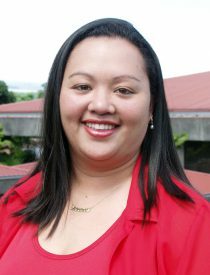 University of Hawai‘i at Hilo Interim Chancellor Marcia Sakai announced today the appointment of Kalei Rapoza to serve as acting vice chancellor for administrative affairs starting immediately. 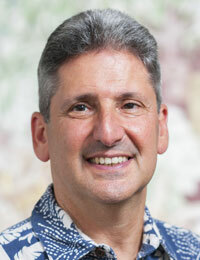 Rapoza has been serving as director for the Office of Human Resources since 2016 where he has worked collaboratively with leadership across the UH Hilo campus in a range of human resources matters. He joined UH Hilo as associate director of HR in 2013, moving from the Department of Education. He has a juris doctor degree from the William S. Richardson School of Law at UH Mānoa and is a graduate of the UH President’s Emerging Leaders Program. Rapoza will serve in an acting capacity until the appointment of an interim vice chancellor for administrative affairs.